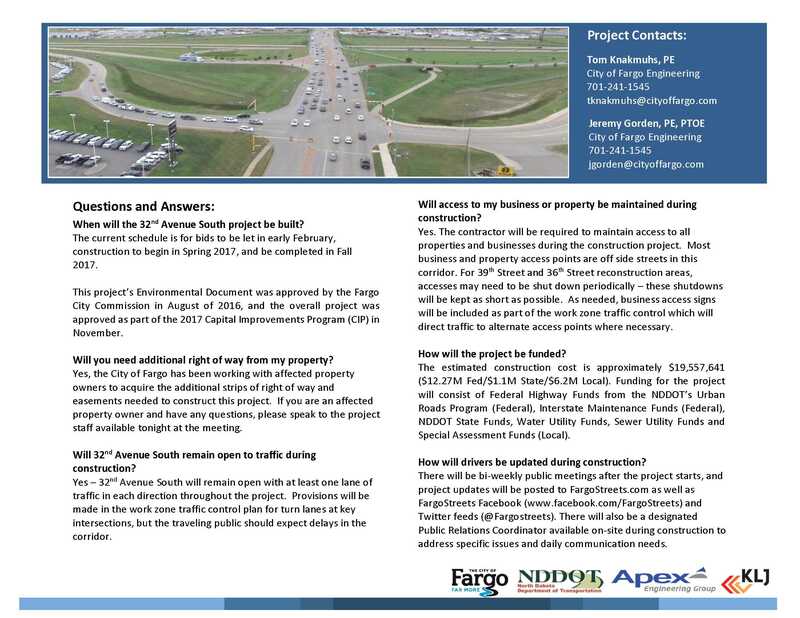 The purpose of the project is to replace the pavement east of 36th Street, improve operations and reduce delays along the corridor by adding roadway capacity, and to improve safety for motorized and non-motorized modes of transportation. Keep existing pavement where possible, widen to 6-lanes. 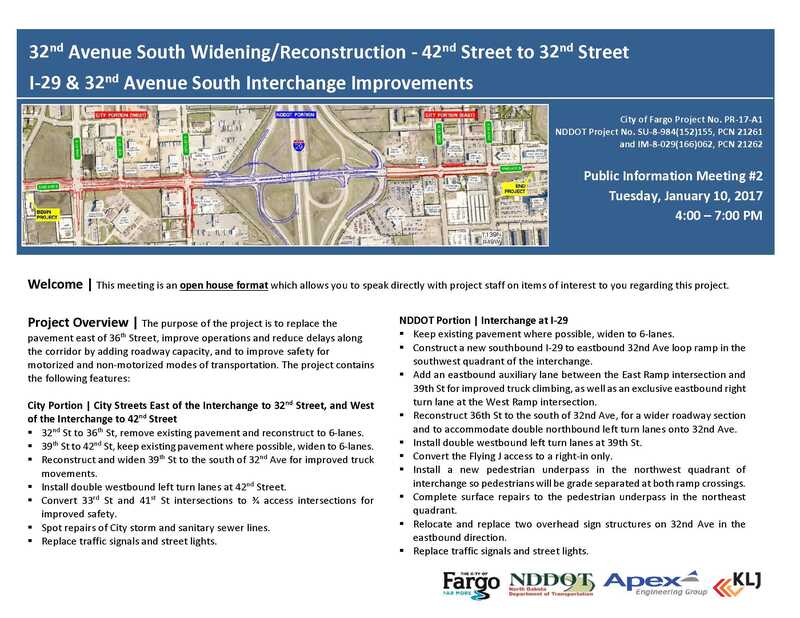 Construct a new southbound I-29 to eastbound 32nd Ave loop ramp in the southwest quadrant of the interchange. Add an eastbound auxiliary lane between the East Ramp intersection and 39th St for improved truck climbing, as well as an exclusive eastbound right turn lane at the West Ramp intersection. Reconstruct 36th St to the south of 32nd Ave, for a wider roadway section and to accommodate double northbound left turn lanes onto 32nd Ave. 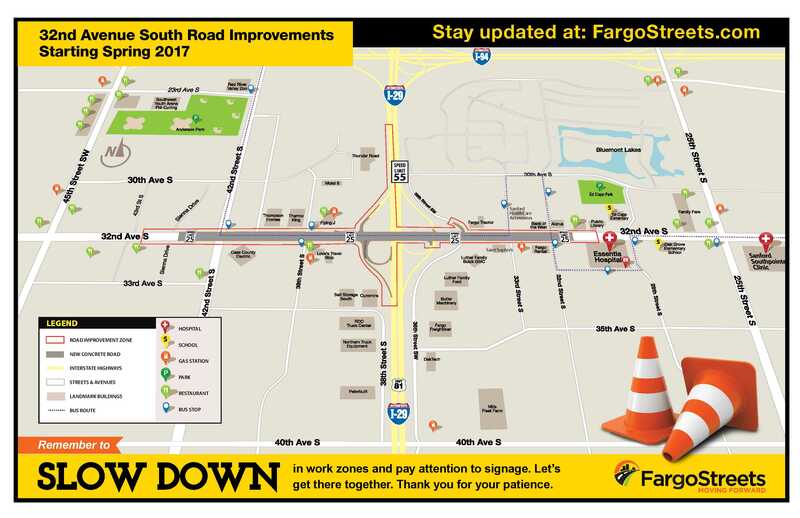 Install double westbound left turn lanes at 39th St. Convert the Flying J access to a right-in only. Install a new pedestrian underpass in the northwest quadrant of interchange so pedestrians will be grade separated at both ramp crossings. Complete surface repairs to the pedestrian underpass in the northeast quadrant. Relocate and replace two overhead sign structures on 32nd Ave in the eastbound direction. Will 32nd Avenue South remain open to traffic during construction? 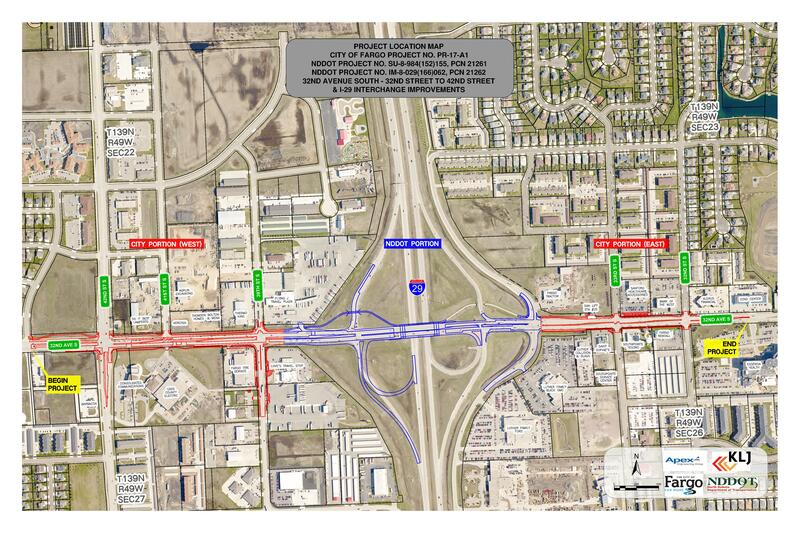 Yes – 32nd Avenue South will remain open with at least one lane of traffic in each direction throughout the project. Provisions will be made in the work zone traffic control plan for turn lanes at key intersections, but the traveling public should expect delays in the corridor.